This clinic and their staff is simply beyond words! My dog required emergency surgery – and not only did they stay late to complete the surgery after hours – they also continued to monitor her even later. Their kindness, compassion and amazing care simply saved my dogs life! There are no words to express my gratitude!! Arlington/Mansfield Animal Clinic is Now Open! Our Veterinary Community Outreach programs visit towns throughout the state to offer low-cost, basic healthcare such as vaccinations, heartworm testing, heartworm prevention and microchipping. 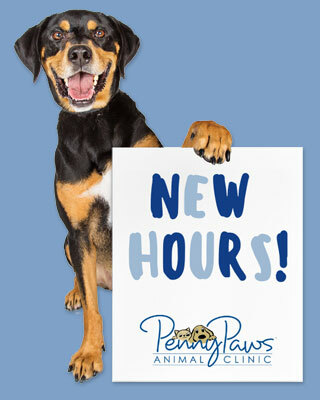 Visit our Penny Paws Online Pet Medication Shop for medications and other important items for your pet! It’s been overall a very good experience with all the staff. Even with their mobile vet. Everyone’s been super friendly, good with our pets & very helpful. The 1st vet I’ve been pleased with in a very long time. Our values serve as our guiding lens for all that we do. These include: Doing the right thing even when nobody is looking; Using the Golden Rule with every patient, client and team member; Choosing to have a positive attitude and creative mindset; Showing compassion towards others and animals because we all suffer in this life.